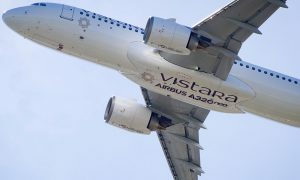 Vistara has announced an agreement with Gurgaon based, Flywings Simulation Technique Centre Pvt Ltd (FWSTC) to provide Safety and Emergency Procedures (SEP) practical training for its pilots and cabin crew. 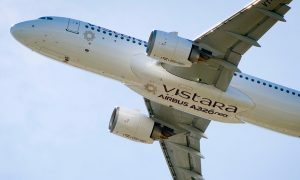 Vistara has been authorized by Directorate General of Civil Aviation (DGCA) to conduct these trainings with FWSTC. FWSTC is a recognized training service provider established with a vision of imparting viable Aviation Training Solution to Aviation industry. Through the most advanced SEP Training equipment and realistic scenario-based trainings offered by FWSTC, Vistara’s SEP practical training needs will be met as crew will now be able to enhance their knowledge and skills required to efficiently manage any emergency. Vistara had earlier been sending their pilots and cabin crew to Singapore Airlines HQ for these trainings. FWSTC offers the A-320 Emergency Exit Trainer (Door Trainer), A-320 CEET (Cabin Emergency Evacuation Trainer), Smoke and Live Fire Training and Water Survival Training (Raft Management Drill) at their world class facility in National Capital Region (NCR), Gurgaon, Haryana. FWSTC is the first in the country to have brought in a cabin emergency evacuation trainer (CEET) where decompression can be stimulated in a smoke filled cabin and will also be the first to bring a fire chamber into the country. 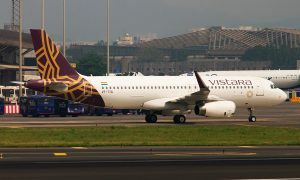 Vistara has recently collaborated with FSTC for simulator and ground training as well.